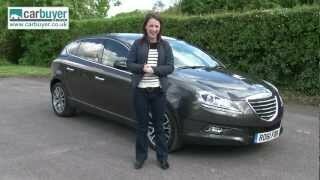 Chrysler Delta 2012 is on sale now in the UK with the starting OTR price from £16,695. With its sophisticated appearance, sumptuous interior and four state-of-the-art engines, the Delta is an accomplished re-entry into the C segment for Chrysler. On sale here now, it provides the sort of interior space expected from a far larger vehicle. Yet a host of all-new electronic driver aids ensures that the Delta is satisfying to drive as well as being very comfortable for both front and rear seat passengers. 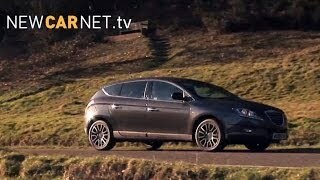 The new Chrysler Delta, which is now on sale in the UK, is all about adding value to people’s lives. It offers family saloon space in a compact hatchback body. It introduces executive car equipment to a wide market. It features sophisticated technologies that are entirely new to this size of car. And it presents all this at prices, starting at just £16,695 OTR, that equal or undercut many less gifted rivals. With its sophisticated appearance, sumptuous interior and four state-of-the-art engines, the Delta is an accomplished re-entry into the C segment for Chrysler. On sale here now, it provides the sort of interior space expected from a far larger vehicle. Yet a host of all-new electronic driver aids ensures that the Delta is satisfying to drive as well as being very comfortable for both front and rear seat passengers. Along with its smaller sister, the new Chrysler Ypsilon, Delta marks the resurgence of Chrysler Group LLC, which was formed in 2009 as a strategic alliance with Fiat. Chrysler’s portfolio contains some of Europe’s most recognisable vehicles, including the 300C saloon and top-selling Grand Voyager MPV. Now with the help of Fiat’s experience and knowledge in the small and medium-sized car sectors, Chrysler can infuse compact, more environmentally friendly models with the luxurious character traits of its bigger cars. Chrysler brand director Nigel Land says: “People know us for large vehicles such as the Grand Voyager and 300C. We are transferring the values that lie behind those cars to the B and C segments. We are not going for high volumes. We want to be the choice for people who are seeking a credible alternative to traditional segment offerings. The Delta has already made a promising start, with CAP predicting strong residual values. Part of this is down to the expectation that buyers will welcome some of the features it introduces to the family hatchback sector. The rear seat slides for maximum versatility and when it’s in its rear position there is a class-leading 1010mm of leg room in the back. Passengers can recline the seat back up to 25 degrees for extra comfort. And there are a host of ‘large car’ technologies available, such as Magic Parking, Lane Departure Control and Blue&Me™. The theme of versatility embues the entire Delta range. There are four trim levels: S, SE, SR and Limited. There are four engines too, starting with a lively petrol 1.4-litre TurboJet and a more powerful 140bhp 1.4-litre that uses Fiat’s ground-breaking MultiAir technology. These are supplemented by a pair of potent yet economical diesels, in 1.6-litre and 2.0-litre capacities, which benefit from second generation MultiJet technology. All models feature six-speed gearboxes with a semi-automatic version available on the 1.6 SE MultiJet. Standard equipment is satisfyingly high. Even the range-starting S model offers a radio/CD with MP3 compatibility, front foglamps with cornering function, remote keyless entry, manual air-conditioning and power windows front and rear. And the range-topping Limited model comes with Blue&Me™, a Navigation system, headlamps with dusk sensors, reclining rear seats and leather upholstery. Safety comes as standard throughout the Delta range, so all models are equipped with Daytime Running Lights (DRL), six airbags, three-point safety belts for all five seats, ABS anti-lock braking with Electronic Brakeforce Distribution (EBD), Electronic Stability Control (ESC), Hill Holder and Anti Slip Regulation traction control. It also incorporates Linearisation Torque Feedback (LTF), Torque Transfer Control (TTC) and Drive Steering Torque (DST), all of which are designed to improve handling. Drivers looking to make their mark without spending a small fortune will appreciate the new Chrysler Delta. Handsome, dynamic and sophisticated, the striking modern design ensures it stands proud of more conservative rivals, and yet is very competitively positioned. At the front, high tech projector style headlamps are instantly recognisable because they feature bright LED Daytime Running Lights (DRL) as standard equipment. Front fog lamps with cornering function also come with every model and sit either side of a front air intake designed to give the Delta a sporty look. Combined with Chrysler’s newly styled shield grille and neatly sculpted bonnet, it makes for a stylish alternative to the mainstream. With a high waistline rising to the rear, the Delta has an equally sporty stance from the side, helped by the standard rear spoiler that blends into the rear window. A sophisticated appearance at the back is set off by a rear window that has no surrounds and is flanked by curved, vertical LED tail lights. The Chrysler Delta has been developed to offer driver and passengers the levels of on-board comfort they might expect from a much larger, much more expensive car. The first thing that will strike anyone slipping inside the Delta is the sheer space. In size terms, with its 2700mm wheelbase and 4520mm overall length it sits at the larger end of the C segment. But inside it has the kind of room you’re more likely to find in a D or even E segment model. Chrysler has employed techniques usually found in MPVs to make this space as flexible as possible. Unusually for this sector, the rear bench slides backwards and forwards (not on Limited versions). It means owners can choose to increase boot space, if for example they have small children in the rear seats, or give rear seat passengers limousine levels of leg room. With the back seats in their forward position the Delta still offers rear passengers a remarkable 930mm of leg room. With the rear seats in their most forward position, the boot offers 465 litres. And even when the backrest is as far back as it’ll go there’s still a healthy 380 litres. The boot also features a small space under the floor. This provides a hidden compartment for valuables and means that when the seats are folded down, the 1190 litres of space has a continuous flat floor. The rear seats don’t just slide, they recline 25 degrees backwards too, offering passengers impressive comfort options. This is further emphasised by the quality of the fabrics used inside, which present owners with the sort of high-class materials and build quality they’ll be more used to in much more expensive models. This should appeal to buyers who are downsizing, one of Chrysler’s target markets. Materials such as leather and Alcantara are used extensively, while on lower trim levels the dashboard is covered with Benova, a soft premium textile. This is the first time Benova has been used on such an accessible vehicle; until now it’s been reserved for prestige brands. On Limited versions the dashboard is covered in Poltrona Frau Leather. The range-starting S model has premium fabric covered seats while in SE variants they’re cloaked in Carbony 3D fabric. This high-tech cloth has a three dimensional effect and features contrasting Alcantara inserts. The SR has Alcanatara with leather inserts, while the top of the range Limited comes with full leather trimmed seats finished with classic piping round the edge for an authentic executive feel. The dashboard has been designed to feel substantial without being too imposing. Centre console buttons are illuminated by a white light for quick and easy identification. Elsewhere, elements of the cabin are aimed at the driver − such as the centre console, steering wheel and instrument surrounds that are highlighted by a metallic-effect Satin Silver paint. The sophisticated feel of the Delta’s cabin is reinforced by thoughtful detailing throughout. Chrome finishes are used on the door handles, radio, climate control knobs and dashboard. The front seats on SE, SR and Limited models have the new Chrysler logo on the head restraints. The glovebox and grab handles both have the slow sprung return you associate with refined cars. And the roof is lined with a new polyester-based material that reduces cabin noise on the move. It’s not just in comfort terms that the Chrysler Delta has been designed to excel. It’s also had safety engineered into it from the ground up. The result is that it’s won a European New Car Assessment Programme (EuroNCAP) five star crash safety rating. This is thanks to six airbags fitted as standard (front, window and curtain bags on both sides), and five three-point safety belts, with load limiters and pretensioners fitted to the front seats. In addition to that, the Delta is packed with standard equipment to make driving as safe possible. It comes with ABS anti-lock braking and Electronic Brake Distribution (EBD) to ensure maximum stopping power is deployed in an emergency situation. Powerful disc brakes are used front and rear, and in an emergency stop the hazard lights are automatically switched on. It’s not just the Chrysler Delta’s generous level of interior space that has the hallmark of an executive car. Its sleek shape also cloaks the kind of large-car equipment levels that until now haven’t been available to drivers buying a mid-sized family hatchback. Designed to ensure that the Delta tops the class when it comes to comfort, safety and driving dynamics, innovative technology has been used from the very earliest design stages. To enable drivers to make the most of their Chrysler Delta, it’s been fitted with some pioneering electronic systems to make life at the wheel more enjoyable yet even safer. Prime among these is the Absolute Handling System. This is an amalgamation of various existing technologies such as Electronic Stability Control (ESC), Hill Holder to ensure perfect hill starts every time, Anti Slip Regulation (ASR) which uses brake and engine control to optimise traction at any time, and MSR which cuts in to ensure engine torque isn’t interrupted if a swift down change is needed during a climb. Where the Absolute Handling System really stands out from the crowd is by encompassing Linearisation Torque Feedback (LTF), Torque Transfer Control (TTC) and Drive Steering Torque (DST) in its suite of skills. The new DST is an electronic steering system that suggests the moves drivers should carry out to maximise road holding and therefore security. It does this through generating torque at the steering wheel courtesy of a continuous interaction between the electric power steering and the Absolute Handling System which controls the car’s dynamics. The DST means that if the car begins to oversteer, the most appropriate manoeuvre to maintain control is ‘suggested’ to the driver. The DST also has a Mu-Split Control Function (MCF) which works over surfaces with different levels of grip. This enables automatic countersteering to prevent the vehicle from spinning and reduces braking distance by 10 per cent. The LTF comes to life when it detects high lateral acceleration. Assuming this to be the result of sporty driving it boosts the steering wheel’s resistant torque to improve road feel for the driver, particularly through fast bends. The Delta also features a new TTC system designed to improve the transfer of torque to the driven wheels. When the driver accelerates through a bend, the brake is constantly modulated on the inner front wheel to increase traction to the loaded outer wheel. By distributing torque between the front-driven wheels in this continuous dynamic manner, it simulates the behaviour of a Limited Slip Differential to give the driver a feeling of improved agility and better traction. 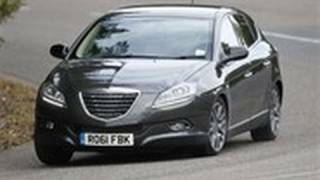 As well as being packed with systems designed to make it more comfortable, safer and better to drive, the Chrysler Delta features a generous level of standard equipment. Even in standard S guise it comes with a radio/CD with MP3 files compatibility, air conditioning, adjustable steering wheel with audio controls, power windows front and rear, and ‘follow me home’ headlights that delay switching off. The SE model features trim enhancements such as a quality finish to the dash and doors, a refrigerated compartment in the cabin, chromed door handles and window surrounds, and 16-inch alloy wheels. The SR builds on that with two-zone automatic climate control, Alcantara leather upholstery, Cruise Control and 17-inch alloy wheels. Options include a panoramic sunroof that takes up 80 per cent of the total roof space, a Bose Audio System and an electrochromatic dimming rear view mirror. Both SE and SR trim levels of the Delta also feature Nav versions which come equipped with Blue&Me™ Nav. The result of a joint venture between Fiat and Microsoft, this extremely simple-to-use system allows drivers to manage their music and phone calls easily and safely, using either voice controls or buttons on the steering wheel. Delta owners can make calls and play music the way they want with Blue&MeTM, developed in conjunction with Microsoft. It works via Bluetooth®, so users can safely stay connected while they are driving. The buttons on the steering wheel are easy to use to answer and make a call. There is also voice recognition, allowing calls to be made and connection within seconds. As soon as users of Blue&MeTM receive an SMS text message, it notifies them. And at the push of a button or by voice command, the message will be read out over the car’s speakers. For playing music, users can plug in their USB stick or MP3 player into the port provided to get their favourite music at their fingertips, or by voice command. The buttons on the steering wheel allow the driver to skip through albums or tracks which are shown on the dashboard display. Alternatively, voice command technology allows operations via simple voice commands like ‘Next’, ‘Previous’ and ‘Play’. The navigation system has a 6.5” colour screen, voice recognition and SD-card map management. Map updates are possible through the NAVTEQ MAP CARE programme. Both Blue&MeTM and the Navigation System are standard on Nav versions and are also standard on Limited (*Nav versions are available on the SE and SR trim levels). As well as this, the range-stopping Limited model is fitted with parking sensors, dusk sensors and a tyre pressure monitoring system. This car’s top model status is highlighted by gold exterior ‘D’ badges replacing silver on the B-pillar, twin chrome exhaust tail pipes and unique 17-inch alloy wheel designs. The larger the car, the more difficult finding a parking space can be. Chrysler provides a solution to this problem with its optional Magic Parking. Pushing a button on the dashboard activates the system which then uses radar sensors mounted in the front and rear bumpers combined with wheel speed sensors to measure the length of empty parking spaces. If it detects one that is free from obstacles and is long enough to accommodate the car, the driver is informed by a beeping noise and a message on the dash. If the driver decides to park in it, the car’s computer takes over the steering to carry out the reverse parallel parking manoeuvre. 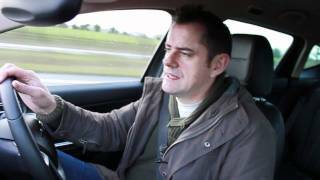 The driver retains control of the accelerator and brake and is permitted a speed of just over 4mph. The driver can deactivate the system at any time, either by turning the wheel, changing out of reverse or pressing the button on the dashboard. Today’s roads are so crowded that another pair of eyes always comes in handy. And that’s exactly what the Chrysler Delta’s optional Lane Departure Control provides. The main element of this is a TV camera with image-processing software. This sends data on the geometry of the road in front of the vehicle to the onboard computer enabling the car to ‘recognise’ road markings. The car’s control unit then decides what sort of steering inputs are needed to keep the car within the lines on the road. If these aren’t applied and the car starts to drift out of its lane, a motor generates torque on the wheel to tell the driver which direction they need to steer to stay in the lane. It only intervenes if the car starts to change lanes without indicating. The driver can override it at any time. 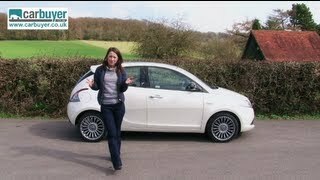 The Chrysler Delta benefits from Fiat Powertrain Technologies’ (FPT) experience of designing, developing and building small, yet highly efficient and powerful award winning engines. Whichever one of the two petrol and two diesel engines buyers choose, they can be sure of optimum fuel economy and impressive torque. Giving a combination of sporty refinement and great value, and developed as part of the FIRE (Fully Integrated and Robotised Engine) range of engines, this power unit guarantees the best possible performance for the lowest possible fuel consumption (44.8mph Combined Cycle), and a 2 year/18,000 mile service interval helps to make this a highly economical choice. The second engine in the Delta range is a more powerful 140bhp 1.4 litre petrol which utilises FPT’s award-winning MultiAir technology. MultiAir technology works by allowing the direct metering of air stroke-by-stroke, cylinder-by-cylinder through the intake valves without using the throttle. The benefits of this technology are wide ranging: - maximum power is increased by up to 10% because of the adoption of a power-orientated mechanical camshaft profile; and low-end torque is improved by up to 15% through early intake valve closing strategies that allow maximisation of air mass in the cylinder. By eliminating pumping losses, a 10% reduction of fuel consumption and CO2emissions is achieved over naturally aspirated and turobcharged engines not using MultiAir technology. Optimised valve control strategies during warm-up and internal Exhaust Gas Recirculation (iEGR, which is realised by re-opening the intake valves during the exhaust stroke) mean that substantial HC/CO and NOX reductions can also be achieved. MultiAir technology combines to allow this engine to exceed the excellent MPG of the 1.4 Turbo-Jet, achieving 49.6mpg (Combined) with significantly higher BHP and torque figures. The first diesel engine in the Delta range is a 120bhp FPT developed MultiJet available to customers purchasing Delta SE and SR versions, with a 6 speed semi-automatic transmission available on SE versions. MultiJet is another ground-breaking development from FPT which in this latest guise allows eight injections per combustion cycle. This is possible due to the new MultiJet II injector patented by FPT, and integrated into the ECU by Magneti Marelli. The shutter in the injector is hydraulically balanced, which allows a larger sealing diameter, with reduced shutter strokes. This servovalve allows fuel quantities to be injected into the combustion chamber quicker, and with greater accuracy. The shutter stroke has been reduced to 20µm (microns), which has allowed the interval between two consecutive injections to be dramatically reduced. This allows the injection rate to be modulated, to achieve greater combustion process control. This new injection mode is called Injection Rate Shaping. The results are reduced noise, fuel consumption of 60.1mpg (Combined) and reduced pollutant emissions. When a customer chooses the semi-automatic transmission, the benefits of MultiJet technology are amplified, with 61.4mpg (Combined) and 120g/km CO2. The most powerful engine in the Delta range is available exclusively on the Delta Limited. Customers can thus enjoy the most luxurious trim level with the most appropriate engine. The 2.0 MultiJet features all of the MultiJet technology available on the 1.6, but in a more potent package, offering 165bhp and 360Nm of torque. Economy figures are still impressive at 55.4mpg (Combined) with CO2emissions at 135g/km.